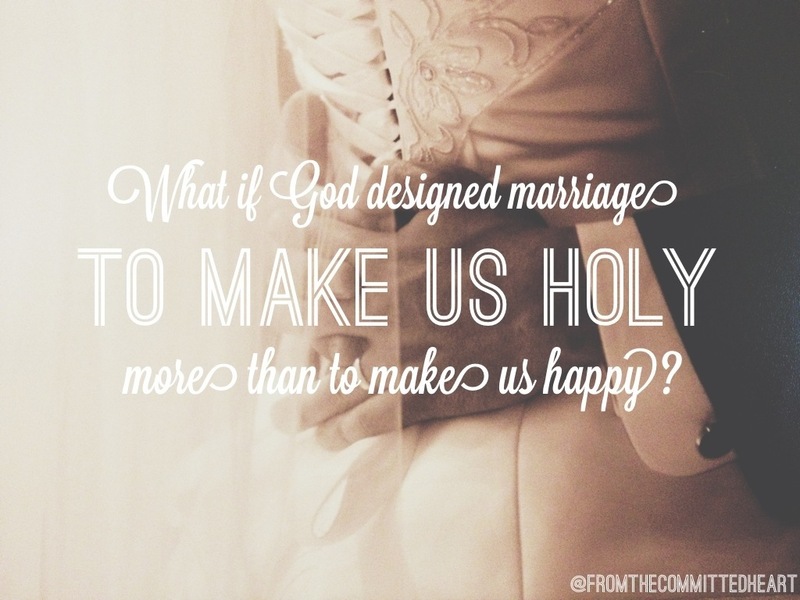 The truth is, marriage makes us confront our ugly that we may have ignored before. Just try to walk around the house with an attitude for a couple of days, or couple of hours in our house, it won’t last long without noticing. Our spouse challenges us in good and sometimes bad ways. Thankfully, we have God to lean on, in times of frustration, when the wrong buttons have been pushed. We need to accept and remember from the moment we said “I do” you gave up “me” and replaced it with “us”. You quickly learn not everything you do is perfect and your opinions are not facts. Marriage is amusing, intriguing, and beautiful, but it’s design is greater than our happiness. Marriage provides growth as an individual and as a Christian. It is a constant reminder of what commitment and covenant means. It also teaches us how to forgive time and time again, like our Heavenly Father forgives us. Friend, the moment you think your marriage is all about “your” happiness, you’re in trouble. This entry was posted in Marriage and tagged Christian Marriage, forgiveness, Gary Thomas, marriage, marriage monday, Sacred Marriage, Selflessness, Spiritual Growth by fromthecommittedheart. Bookmark the permalink.